Today marks 2 years since I published my first blog post so I thought that it would only be right that I do the same as I did for my 1 year anniversary, and write a post reflecting on the past year and most importantly say a huge thank you for all the support that you’ve given Nourishing Yas. I have to admit that my second year of blogging didn’t get off to the most consistent of starts; I finally started my nutritional therapy course alongside working part time and the heavy workload from those two combined, plus the fact that there was a huge improvement in my social life too, meant that all other aspects of life took over and blogging unfortunately became the least of my priorities and as a result I didn’t post from November until March. The break that I unintentionally took made me realise just how much I loved and missed blogging (although it wasn’t all a bad thing as my mental health improved a lot during that time too) so my two year anorexia recovery anniversary was the perfect opportunity to start it up again. Since then I’ve really been enjoying it; I’m back to posting regularly and whilst there’s definitely always room for improvement, I couldn’t be happier with the content and recipes that I’m putting out right now. Whilst my following is relatively small in comparison to a lot of other successful bloggers, everything seems to really have taken off for me recently and I’ve been so overwhelmed by the support and views that I’ve had on both my blog and Instagram over the past few weeks and months! I don’t quite know how or why it’s happened – for me the sole focus isn’t and I never want it to be just about the numbers but my followers and blog views have grown more than I ever thought they would and it makes me so happy to know that people are enjoying my content. I love being tagged in your photos on Instagram – creating a recipe and seeing other people make and enjoy it is honestly the most rewarding feeling and knowing that my rambles about mental health, recovery and general life are helpful to people in some way, even if it’s just one person, is the best feeling. At the end of the day I set this blog up to help other people – to show them that there is light at the end of the tunnel and recovery is possible, so to know that people are benefiting from that makes me so happy. I was lucky enough to be shortlisted as one of the top 3 nominees at this years Health Blog Awards which came as such a shock! I pretty much knew that I wasn’t going to win but that set aside, being nominated was such a huge achievement for me in itself and receiving recognition for the posts and recipes that I put out was incredible – sometimes when you put out blog posts it can feel as if no one is listening or taking note, so it definitely gave me a little confidence boost and I’m so grateful for everyone who took the time to vote for me, regardless of the result. Over the past couple of weeks I’ve also been completing the Health Bloggers Community influencer training scheme, which is centered around maintaining credibility in the wellness industry. I’ve already learnt so much from it and I can already tell that it’s going to be so beneficial going forward. There’s also other courses included which I want to make sure that I complete because I truly want to make this blog the best creative space that it can be. Aside from hopefully achieving my influencer certification within the next couple of weeks, there are lots of other exciting things going on behind the scenes that I can’t wait to share and that of course includes lots of delicious recipes! Whilst I have separate posts specifically relating to my mental health in terms of recovery from an eating disorder, and I regularly talk about it on Instagram, it’s so amazing to see the improvement and shift that has taken place in my mental health since I started this blog two years ago. There has been a huge improvement in my mental health since that time, so it’s only naturally that there’s been a slight shift in the focus of my blog too. This time two years ago I was so focused on making everything as natural and ‘clean’ as possible. I struggled a lot more with Orthorexia, one example being that I completely avoided shop bought products and everything had to be homemade, but I’m definitely not in the same place anymore. I view food differently now; yes I still love a matcha latte, but I don’t exclude coffee completely – in fact a frothy coffee in the morning is now my favourite thing to wake up to and I realise that it’s perfectly OK to eat white potatoes over sweet. My mindset now is more about maintaining balance, rather than making everything as natural as possible. I’m a lot less strict when it comes to food and drink (yes I might be a ‘health blogger’ but I love a gin and tonic) and it is so freeing. I easily fell in to the ‘free from’ label trap, but recently I’ve realised that that does not equate to health – being free from gluten, dairy, wheat and sugar doesn’t necessarily make you healthy, especially not when it comes to mental health. Don’t get me wrong -creating nourishing, plant based recipes is still at the forefront of what I do and I don’t think that will ever change, I just have a healthier relationship and attitude towards food than I did. So I think that this is the perfect opportunity to reiterate what Nourishing Yas is about; creating simple, nourishing plant based recipes and saying goodbye to diet culture, ditching the free from labels, calorie counters and macro trackers and instead putting the focus on cramming in, not cutting out – filling your bowl with nourishing and nutritious wholefood ingredients and never over restricting. And I of course still remain grateful for the amazing people that I’ve met through starting both my Instagram and blog. Blogging it itself has hugely improved my mental health and attending my first HBC event in 2017 enabled me to meet so many incredible people who continue to inspire me on a daily basis. I’ll always remain grateful for the fact that through that I met two of my best friends – Jordan and Laura, who I now couldn’t imagine life without. 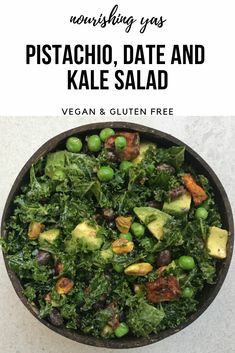 Going forward in to year 3 of Nourishing Yas I really want to put a focus on improving my content – the quality of my pictures, posts and recipes. 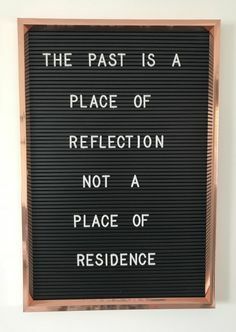 I definitely want to talk more about the importance of mental health and eating disorder recovery and I’m hoping to attend more events, work with more brands and overall grow Nourishing Yas in to the best creative space that it can be, but the underlying aim will always remain to help inspire and help others to be the healthiest and happiest versions of themselves. 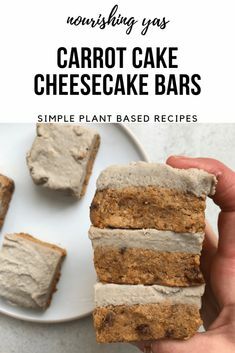 I posted quite the range of recipes over the past year, from hummus to kale salads, granola, brownies, cookies, compotes and zoats (all of which are included at the end of this post) but I thought I would go in to a little more detail about the 5 which have been most popular – and I don’t think that it’ll come as a surprise that they all involve chocolate! Chocolate Protein Zoats with Tropical Berry Compote It’s absolutely no surprise to me that this is my most popular recipe from the last year – chocolate zoats are without a doubt my trademark breakfast and most featured breakfast bowl on Instagram. 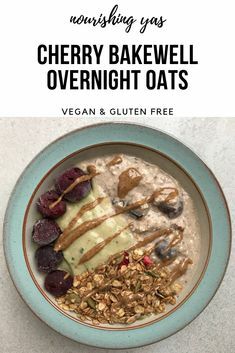 Packed with over 30g plant based protein, this creamy chocolate oat bowl is the perfect way to set you up for the day. 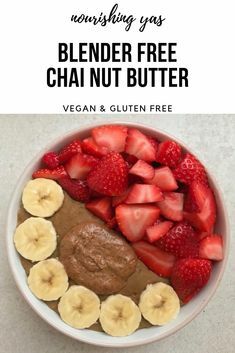 I love to switch the compote for fresh or frozen berries, and add banana slices, a big dollop of nut butter or chunk of chocolate for an indulgent dessert like breakfast. Snickers Granola Granola is one of my favourite things to bake and I love experimenting with different variations but this snickers one is one definitely up there in my favourites. The mix of rolled oats, peanuts and seeds is drenched in a rich chocolate peanut butter sauce and baked until crunchy, before stirring through gooey sweet dates for that classic snickers caramel flavour – sure to add an extra indulgent twist to breakfast time. No Bake Nutty Chocolate Fudge Brownies Brownies are such a crowd pleasing sweet treat and these no bake ones are extra special – they require just 7 ingredients but pack in the richest chocolate flavour with a gooey brownie base and a fudgey chocolate topping that sinks beneath your teeth – these are one of my favourites. No Bake Chocolate, Cashew and Peanut Butter Sandwich Cookies I know that I’m not alone with my chocolate and peanut butter obsession, so it’s no surprise to me how well this recipe went down. Quite possibly one of my all time favourite desserts, the best part of these no bake cookies is the gooey maple cashew peanut centre – and when it’s sandwiched between two fudgey chocolate peanut cookies, it makes the most satisfying sweet treat. 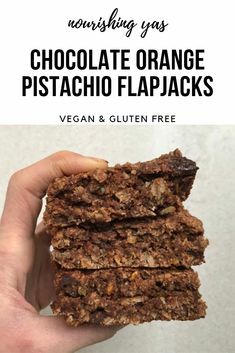 Plus they couldn’t be any simpler to make with just 6 plant based ingredients. Salted Caramel Chocolate Oats with Peanut Date Caramel There’s only one thing better than chocolate oats and that’s when you add salted caramel in to the mix too. Just as creamy as my original chocolate oat recipe, but the blend of dates and deep roast peanut butter creates the most indulgent sticky peanut date caramel topping. Oh Wow. you posted so much from just March!! Thank you for taking the time to read it Rachel! I definitely think it’s something that a lot of people have struggled with – it’s so easy to take being healthy too far but I’m so glad that we’ve both managed to overcome it! Hopefully see you soon!